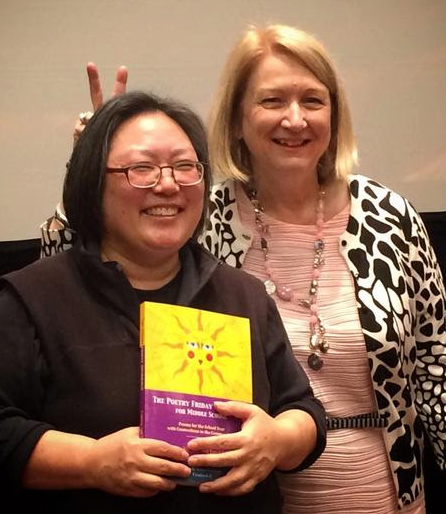 Just a few weeks ago, I was at the YALSA Symposium in Austin TX-- such a great event. I was lucky to gather a fantastic panel of poets and authors (Janet Wong, KA Holt, Michael Salinger, Sara Holbrook, Guadalupe Garcia McCall, and Jacqueline Woodson) all talking about their work and reading and performing excerpts. I was able to videotape a few nuggets to share with you here. Enjoy! Guadalupe Garcia McCall shares her poem, "The Cafe," from The Poetry Friday Anthology for Middle School. There will be another YALSA Symposium next year and it will be held in Portland, OR in 2015. The focus will expand to include literature, programming AND youth services. Should be fun! Last week I was at the NCTE conference (so fun!) presenting alongside Janet Wong and Eileen and Jerry Spinelli on the topic of kindness. Here's a tiny glimpse of our session-- a video of Eileen reading her original poem, "Get a Life" from The Poetry Friday Anthology (K-5). It's perfect for this crazy Black Friday, too. There are books to read. And awesome facts for learning. There are yards to weed. And dreams to set us yearning. There are trails to hike. And stories made for swapping. 1. Prior to sharing the poem, jot numbers on a piece of paper or list on the board (1, 2, 3, etc.) as if you are making a to-do list. Then read the poem aloud, pausing for a moment after each line. 2. Share the poem again, inviting students to join in on the final two lines (is there’s more to life than / shopping!) while you read the rest aloud. 3. For discussion: What are some of your favorite activities to do during holiday breaks? 4. 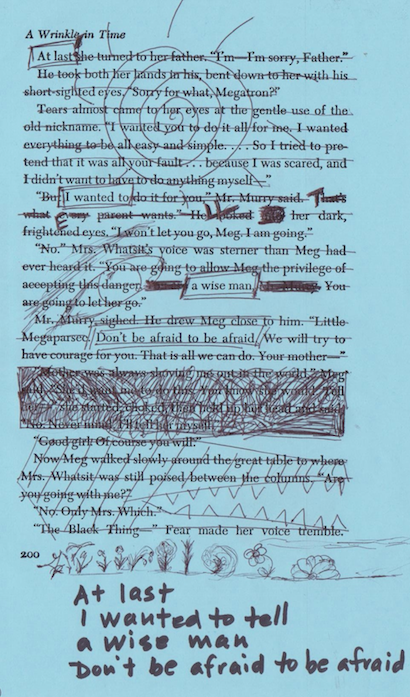 Lead students in considering how repeating key words and phrases, particularly at the beginning of each line (There are; And), helps build a poem and can add to the distinctive rhythm of the lines. Then read the poem out loud together again, listening for the patterns. 5. Link this poem with another thoughtful poem by Eileen Spinelli, “Today” (4th Grade, Week 29, page 215 in The Poetry Friday Anthology). Corcoran, Jill. Ed. 2012. Dare to Dream… Change the World. San Diego, CA: Kane Miller. Engle, Margarita. 2008. The Surrender Tree. New York: Holt. Myers, Walter Dean. 2011. We are America; A Tribute from the Heart. Ill. by Christopher Myers. New York: HarperCollins. Singer, Marilyn. 2013. Rutherford B., Who Was He? : Poems About Our Presidents. New York: Disney-Hyperion. Talk about “Today’s Document” at the National Archives (at Archives.gov). Create “found” poetry from news articles. Examine facsimiles of primary source documents (at Jackdaw.com). Use Google Maps to locate places you’re reading about. Look at children’s books in different languages from around the world at the International Children’s Digital Library. Look for “Ten Poetry Collections for Social Studies Not to Be Missed” in Poetry Aloud Here (Vardell, 2014) as well as lists of poetry collections organized by topics such as Presidents’ Day, women’s history, U.S. history, world history, war and peace, plus multicultural and international poetry booklists in The Poetry Teacher’s Book of Lists (Vardell, 2012). Others will be presenting parallel examples in the areas of math, science, arts, games & sports. Learn more about the Children’s Literature Assembly here. 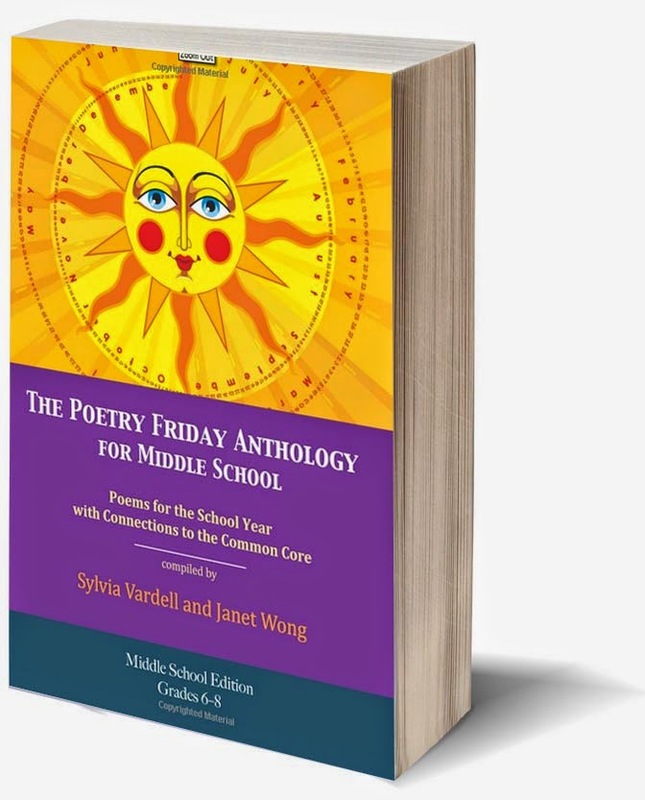 PLUS: Of course I’m absolutely thrilled that our book for middle school, The Poetry Friday Anthology for Middle School, was selected as a Poetry Notable by the NCTE Excellence in Poetry Committee. Here’s that link. There will also be a BUNCH of poets in attendance at the conference and I hope to cross paths with many of them including: Irene Latham, Laura Purdie Salas, Mary Lee Hahn, Jacqueline Jules, Sara Holbrook, Michael Salinger, Heidi Mordhorst, J Pat Lewis, Amy Ludwig VanDerwater, Georgia Heard, Rebecca Dotlich, Paul B Janeczko, Pat Mora, Linda Kulp, Jane Yolen, Heidi Stemple, Leslie Bulion, Rene Saldana, Eileen Spinelli, Joseph Bruchac, and George Ella Lyon. What fun, right?! I hope to share photos afterward. And finally, they’ll be announcing the next winner of the NCTE Poetry Award at the conference too! Stay tuned. Posting by Sylvia M. Vardell © 2014. All rights reserved. I’m off to the annual conference of the National Council of Teachers of English and looking forward to presenting (twice!). My first session is “Sharing Random Books of Kindness: The Power of Story” alongside Eileen Spinelli, Jerry Spinelli, and Janet Wong. We’ll be talking about all kinds of books related to the theme of kindness—including poetry, of course. Here are some of the resources I’ve gathered on our topic. Ferrucci, Piero. 2007. The Power of Kindness: The Unexpected Benefits of Leading a Compassionate Life. Tarcher. Goldman, Carrie. 2012. Bullied: What Every Parent, Teacher, and Kid Needs to Know About Ending the Cycle of Fear. HarperOne. Laminack, Lester and Wadsworth, Reba. 2012. 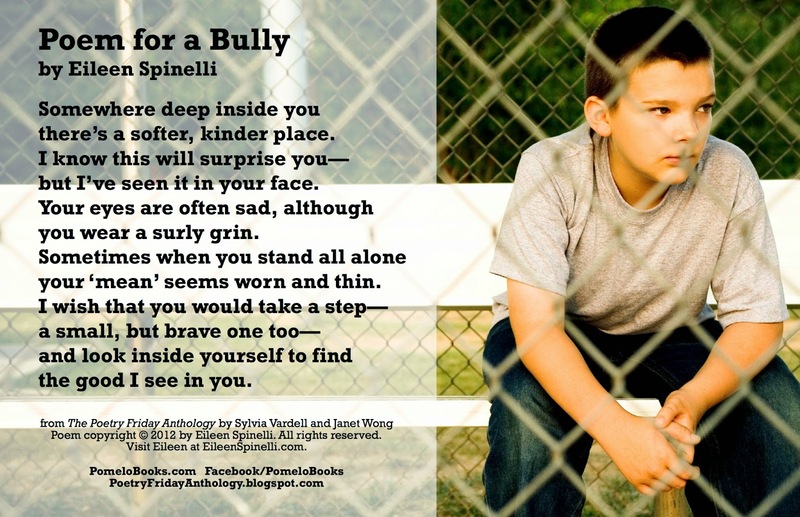 Bullying Hurts: Teaching Kindness Through Read Alouds and Guided Conversations. Heinemann. Mah, Ronald. 2013. Getting Beyond Bullying and Exclusion, PreK-5: Empowering Children in Inclusive Classrooms. Skyhorse Publishing. Pearson, Ferial. 2014. Secret Kindness Agents: How Small Acts of Kindness Really Can Change the World. WriteLife. Rice, Judith Ann. 2013. The Kindness Curriculum: Stop Bullying Before It Starts. Redleaf Press. Rue, Nancy. 2014. So Not Okay: An Honest Look at Bullying from the Bystander (Mean Girl Makeover series). Nelson. 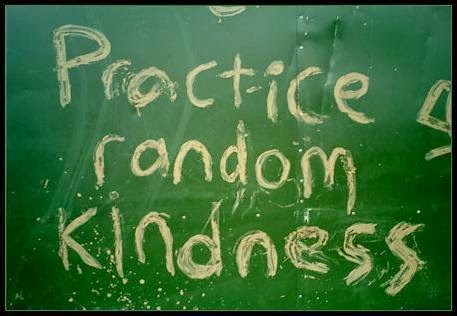 And there are some excellent web resources on teaching kindness and compassion too. For schools, homes, communities; check it our here. Tools for educators, students, parents, advocates; look here. Movement, documentary and school program focused on girls; details here. U.S. Dept. of Education Office of Safe Schools and Healthy Students; look here. "More than Just Books: Librarians as a Source of Support for Cyberbullied Young Adults: by Abigail L. Phillips; click here. Of course, we'll be sharing kindness-themed poems from The Poetry Friday Anthology (K-5) and The Poetry Friday Anthology for Middle School, an NCTE Poetry Notable Book, including these two. I’ll also be participating in the annual “Master Class” coordinated by the Children’s Literature Assembly of NCTE (such a great organization). That session is focused entirely on poetry! I'll post more details about that tomorrow. Session Description: What is true and relevant in providing meaningful connections between students and poetry? As they are poised between childhood and adulthood, we seek out poems that are fresh and authentic, along with approaches that are engaging and interactive. This session will feature a diverse panel of published poets talking about their poetry, their process, and their inspiration, as well as the educator perspective on sharing poetry using the latest media and technology for promoting involvement and participation. Take the lead, be the first to read the poem, and don’t be afraid to “ham it up.” Take the pressure off students by showing how the poem sounds, how words should be pronounced, how the meaning and emotion might be conveyed. Don’t ask them to do anything you wouldn’t do yourself. Use props whenever possible to make a concrete connection to the poem, focus attention, and add a bit of fun. Choose something suggested by the poem. It’s even worth planning ahead to have a good prop ready beforehand. Students can then use the props too as they volunteer to join in on reading the poem, taking the focus off of them and giving the audience something specific to look at while listening—the poetry prop. Try using media to add another dimension to the poetry experience. Look for digital images or videos relevant to the poem to display without sound as a backdrop while reading the poem aloud, or find music or sound effects suggested by the poem to underscore the meaning or mood as you read the poem aloud. Offer choices as you invite students to join in on reading the poem aloud with you. They can choose a favorite line to chime in on or volunteer to read a line or stanza of their choice or ask a friend to join them in reading a portion aloud. The more say they have about how they participate in the poem reading, the more eager and comfortable they will be about volunteering. Make connections between the poems and their lives and experiences, between one poem and another, and between poems and other genres like nonfiction, short stories, newspaper articles, and songs). 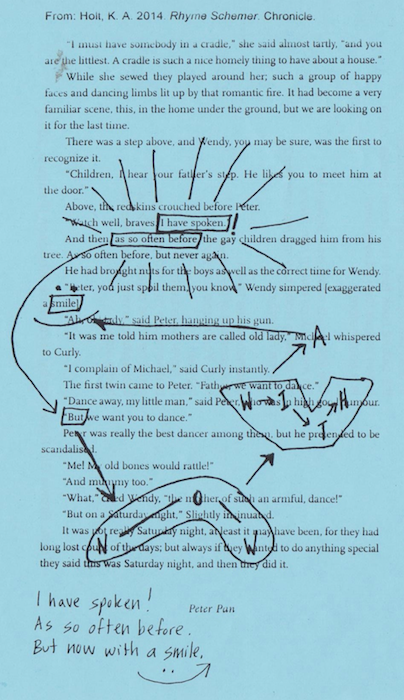 We provide example questions and poem connections for each poem, but once you have established that pattern, be open to the connections the students themselves make first. We also connect poetry with a lot of technology—so appealing to young readers. 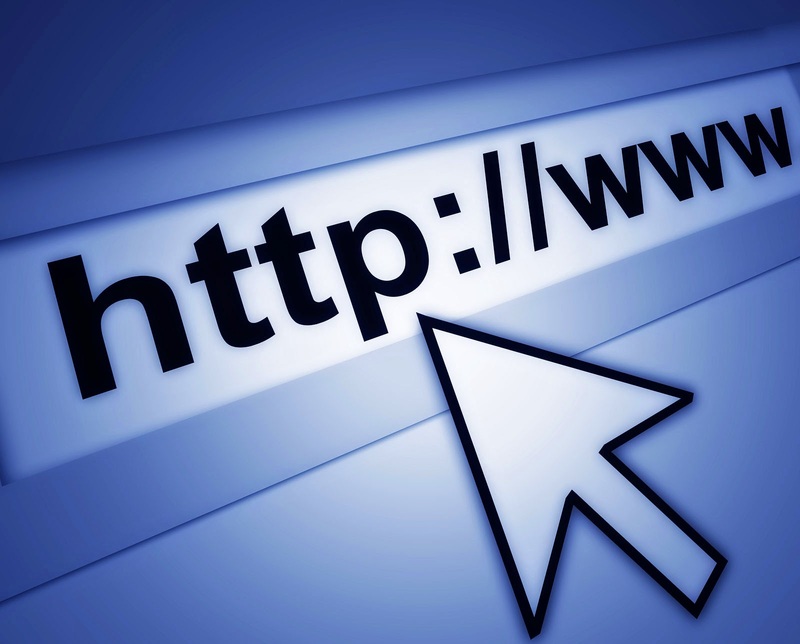 Here are a few of my favorite websites that we use in the Take 5 activities to introduce or extend the poems. And if you’re looking for more guidance on sharing poetry with young people, here are some excellent resource books. Ambrosini, Michelle and Morretta, Teresa. 2003. Poetry Workshop for Middle School. International Reading Association. Collom, Jack and Noethe, Sheryl. 2005. Poetry Everywhere; Teaching Poetry Writing in School and in the Community. Teachers & Writers. Franco, Betsy. 2005. Conversations With a Poet: Inviting Poetry into K-12 Classrooms. Richard C. Owen. Frost, Helen. 2001. When I Whisper, Nobody Listens: Helping Young People Write About Difficult Issues. Heinemann. Heard, Georgia. 1999. Awakening the Heart. Heinemann. Holbrook, Sara and Salinger, Michael. 2006. Outspoken: How to Improve Writing and Speaking Through Poetry Performance. Heinemann. Holbrook, Sara. 2003. Wham! It’s a Poetry Jam: Discovering Performance Poetry. Wordsong, Boyds Mills Press. Holbrook, Sara. 2005. Practical Poetry; A Nonstandard Approach to Meeting Content-Area Standards. Heinemann. Janeczko, Paul B, comp. 2002. Seeing the Blue Between: Advice and Inspiration for Young Poets. Candlewick. Lipson, S. L. 2006. Writing Success through Poetry: Create a Writers’ Workshop. Prufrock Press. Livingston, Myra Cohn. 1991. Poem-making: Ways to Begin Writing Poetry. HarperCollins. O’Connor, John S. 2004. Wordplaygrounds; Reading, Writing, and Performing Poetry in the English Classroom. 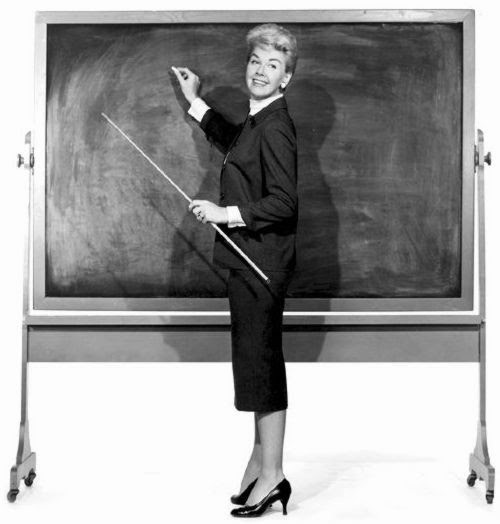 National Council of Teachers of English. Ruurs, Margriet. 2001. The Power of Poems; Teaching the Joy of Writing Poetry. Maupin House. Salas, Laura Purdie. 2011. Picture Yourself Writing Poetry: Using Photos to Inspire Writing. Capstone. Sloan, Glenna. 2003. Give Them Poetry: A Guide for Sharing Poetry with Children K-8. Teachers College Press. Tiedt, Iris McClellan. 2002.Tiger Lilies, Toadstools, And Thunderbolts: Engaging K-8 Students With Poetry. International Reading Association. Vardell, S. M. 2012. The Poetry Teacher’s Book of Lists. Pomelo Books. Vardell, Sylvia. 2007. Poetry People: A Practical Guide to Children’s Poets. Libraries Unlimited. Vardell, Sylvia. 2014. Poetry Aloud Here 2: Sharing Poetry with Children. American Library Association. Wolf, Allan. 2006. Immersed in Verse: An Informative, Slightly Irreverent & Totally Tremendous Guide to Living the Poet’s Life. Sterling. Wood, Jaime R. 2007. Living Voices: Multicultural Poetry in the Middle School Classroom. National Council of Teachers of English. I hope to share some moments from our session afterward, too. Stay tuned. Sidman, Joyce. 2005. Song of the Water Boatman and Other Pond Poems. Ill. By Beckie Prange. Boston: Houghton Mifflin. Sidman, Joyce. 2006. Butterfly Eyes and Other Secrets of the Meadow. Ill. by Beth Krommes. Boston: Houghton Mifflin. Sidman, Joyce. 2010. Dark Emperor and Other Poems of the Night. Ill. by Rick Allen. Boston: Houghton Mifflin. Sidman, Joyce. 2014. Winter Bees & Other Poems of the Cold. Ill. by Rick Allen. Boston: Houghton Mifflin Harcourt. I was lucky enough to create a readers’ guide for this book that you’ll find here (along with Common Core skill connections). Winter Bees guide link here. Just to whet your appetite, here are a few excerpts from the guide. Before exploring this book, talk with students about winter and how they experience this season. Ask: Is it cold where we live? Is there snow or ice? Or is it a warm place with mild weather? What animals and insects do you notice in your communities and neighborhoods and what do those creatures do during the winter? Explain that in Winter Bees, the poet Joyce Sidman explores what winter is like for a dozen plants and animals of the north through poetry and prose paragraphs. 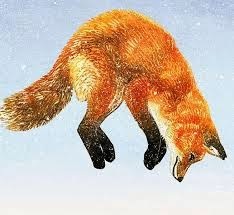 Notice that the illustrator Rick Allen has featured the red fox in nearly all of the illustrations, even when other animals and plants are the focus of the poem. Can you spot the fox? Rick Allen uses prints to create the art for these illustrations, particularly linoleum cuts and wood engravings. Students may enjoy trying their own printmaking with simple potato prints (carving simple designs into a half potato with adult supervision) or cardboard prints (cutting corrugated cardboard into simple shapes). Or even simpler—try making paper snowflakes with blank white paper folded multiple times and then snipped and shaped with scissors. 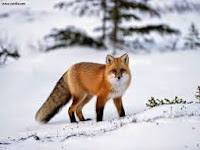 Students can work with a partner or in a small group to create a “found” poem about a winter animal. They can choose a favorite animal from Winter Bees, read the prose paragraph provided, and then choose their favorite words or phrases from the paragraph and rearrange them into a “found” poem of their own. Remind students that poems don’t have to rhyme. Make a list of the dozen plants and animals featured in this book. Students can then investigate which of these are found in their own communities and what winter is like for them in their region. Add animals that are unique to your own area and research images of them at sources like Animals.NationalGeographic.com or videos on YouTube. 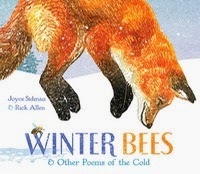 Challenge students to research and write their own nonfiction prose paragraphs about a selected plant or animal in winter similar to those Sidman provides in Winter Bees. And there are discussion questions for each individual poem too. Here are a few examples. What is a lullaby? Why might this poem be titled a “lullaby”? Notice how the poet uses rhyme and rhythm to suggest the song-like qualities of a lullaby. Why is it important for snakes to sleep in winter? In this persona poem, the poet is writing as if she were the moose. How do you know that? Which lines and words signal that point of view? Notice how she also coins new words (like “slumberous”) to describe the moose. What might “slumberous” mean in this context? Why do you think this whole book of poetry is titled after this particular poem? What do you learn about bees in winter here? Why is that so central to this whole book? What animals live “under ice” in this poem? Why is the poem not named after them in this case? In this poem, the poet repeats from one stanza to the next. Can you find each repeated line (beginning with “made of ripped chips and thrashing twigs”)? Use the glossary to help you understand the pantoum form, if needed. Why did the poet include this poem about trees, instead of featuring another animal? What roles do trees play in the animal world? 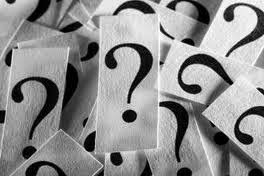 Why does the poet title this poem with a question? Notice that the poet repeats that title question line twice in the poem. Why do you think she does that? Which is your favorite animal depicted in this book? Which is your favorite poem? Why? Are these the same (poem+animal) or different? What did you learn about animals in winter that especially surprised you? What do you like to do in winter to help you “survive” and thrive during this season? This book is getting lots of buzz (get it, buzz!) and you’ll find a great article here. And a radio interview with Joyce here. More info at Laura Purdie Salas’s blog here. And an in-depth interview with illustrator Rick Allen here. Now head on over to Keri Recommends for our Poetry Friday gathering this week. I write a regular column on poetry for Book Links magazine and every now and then they double-up and feature it in Booklist Online, too. This is one of those times! My November article, "Classroom Connections: Exploring Science with Poetry" appears in the print issue of Book Links and online at Booklist here. As literacy expert Bernice Cullinan (1995) reminds us, “Scientists observe with a clear eye, record their observations in precise, descriptive language, and craft their expressions. Poets do the same thing.” Maximizing that reciprocal relationship between how scientists observe and describe the world and how poets do so presents a unique opportunity for us as we work with children. But where do we begin? 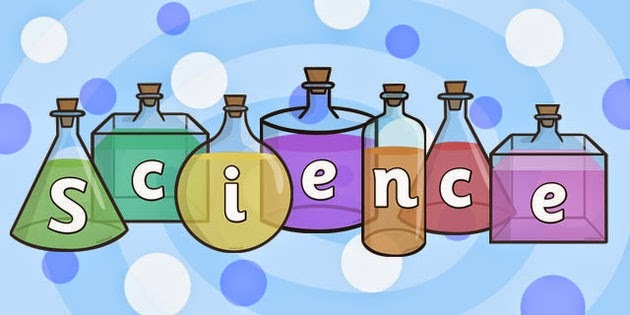 Select a science-themed poem, read it aloud, then work with students to identify all the sensory words and descriptions (sights, sounds, smells, textures, tastes). Then select a news article on the same science topic and identify the descriptors in that piece. Work together to create a simple Venn diagram showing how poets and scientists overlap in their use of language to record and report their observations. 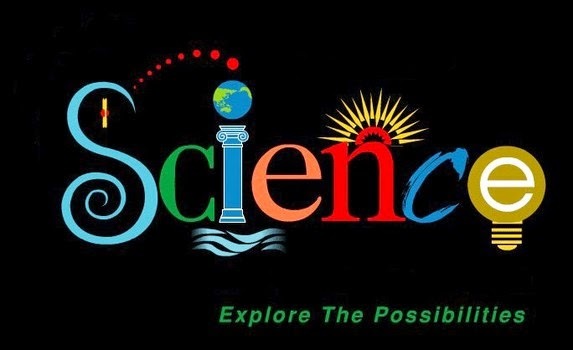 Sandy Buczynski and Kristin Fontichiaro suggest, “For the many educators who feel comfortable using literature in the classroom but are timid about their science expertise, using books to build a bridge to science can yield impressive results for teaching and learning” (2013). How can you make science more accessible and "friendly"? Try a short science poem, of course! Bulion, Leslie. Hey There, Stink Bug! Gifford, Peggy. The Great Big Green. Discuss the role of weather reporting in current events and how it helps us keep up with changes in weather from day to day. Talk about the recognizable weather patterns that are described in the poems of Laura Purdie Salas in Seed Sower, Hat Thrower: Poems about Weather such as humidity, clouds, thunder, lightning, and rain. Challenge students to describe today’s weather and how it may have changed from yesterday. Record temperatures and weather for 5 straight days to look for patterns and contrast with weather reports online or on television. Talk about the steps we might follow in inventing or making something new: gathering materials, consulting books, looking things up online. What kinds of things can students imagine creating? Refer to Wikihow.com, a multilingual how-to site for ideas. Use sample poems like “Tinker Time” (from PFAS) or selections from Eureka! Poems about Inventors by Joyce Sidman to promote creative thinking. Collaborate to create a quick glog, a digital interactive poster (using Glogster.com), pulling together images and key words from a science-themed poem in a new visual representation of the poem’s topic. Show students the choices of text, fonts, color, graphics, and even animation, if possible, while you input those items and create the finished product together. Use the details in the poem “Go Fly a Kite” (in PFAS) to talk about factors that influence kites in flight: pressure, streaming, breezes, lift, and drag. Check out NASA’s “Beginner’s Guide to Aerodynamics” for help, available here: GRC.NASA.gov/WWW/K-12/airplane/bga.html Contrast this with poems about bird flight found in Jane Yolen’s Birds of a Feather or The Cuckoo’s Haiku and Other Birding Poems by Michael J. Rosen. Talk about how scientists use a variety of tools to collect information and conduct investigations. In studying the human body, one measure of overall health is pulse rate. Demonstrate how to take a pulse and compare results while resting or exercising after sharing “Moving for 5 Minutes Straight” (from PFAS) or selections from The Blood-Hungry Spleen and Other Poems about Our Parts by Allan Wolf. And here are a few suggested resources that were not included in the article OR online, an extra bonus! The discussion of science topics nearly always leads to exploration (of objects, of the world, of technology) and fortunately there are many excellent online resources that can provide helpful guidance and encourage discovery and playfulness. They offer many ideas for follow up activities to accompany a poem for five minutes of science fun. Many of the science activities listed in the “Take 5” activities for each poem in The Poetry Friday Anthology for Science, for example, suggest websites to match specific poems to expand science learning. Here are just a few favorites. In addition, as we connect poetry and science, it can be helpful to know about resources that provide background for building science understanding. This select list focuses on science teaching with children and includes blogs, websites, videos, and more. 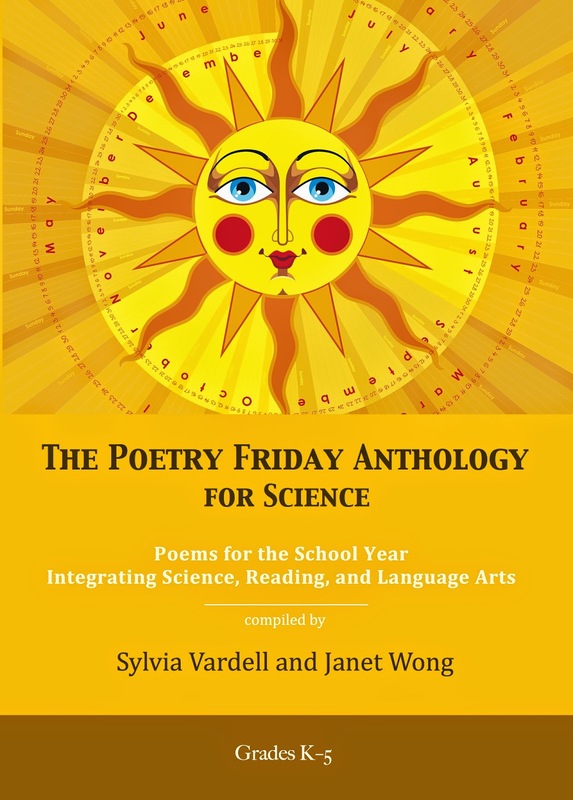 And of course there are even more resources and 200+ science-themed poems in The Poetry Friday Anthology for Science. Get your copy now, if you haven't already! We're so proud to earn the "NSTA Recommends" status for our book from the National Science Teachers Association, too! In this article in Booklist, you'll also enjoy Renee LaTulippe's poem, "Da Vinci Did It" along with the Take 5 activities that accompany the poem. Enjoy!